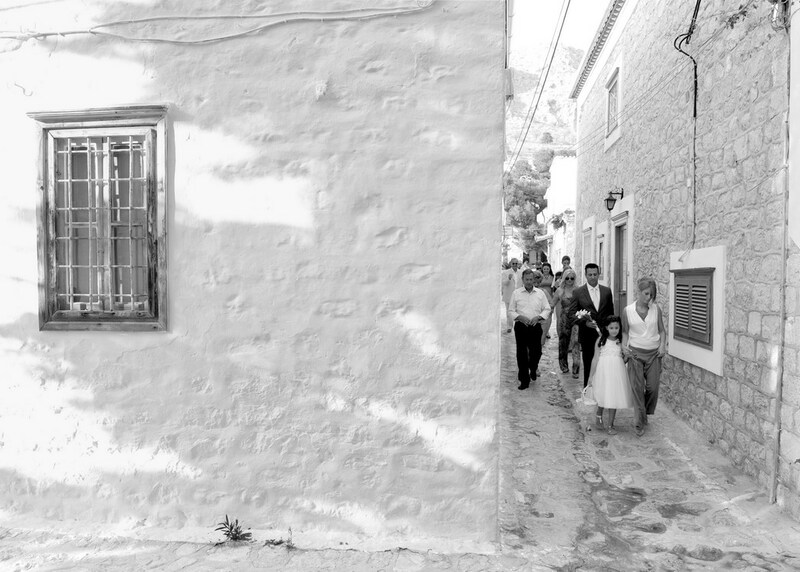 Marianna and Giorgos live in Hydra. When they contacted me for their wedding and baptism of their little daughter I was very glad to be their photographer...two people very much in love with great chemistry with each other, two of the most important ''ingredients'' for beautiful wedding photos filled with emotion and sweet moments. 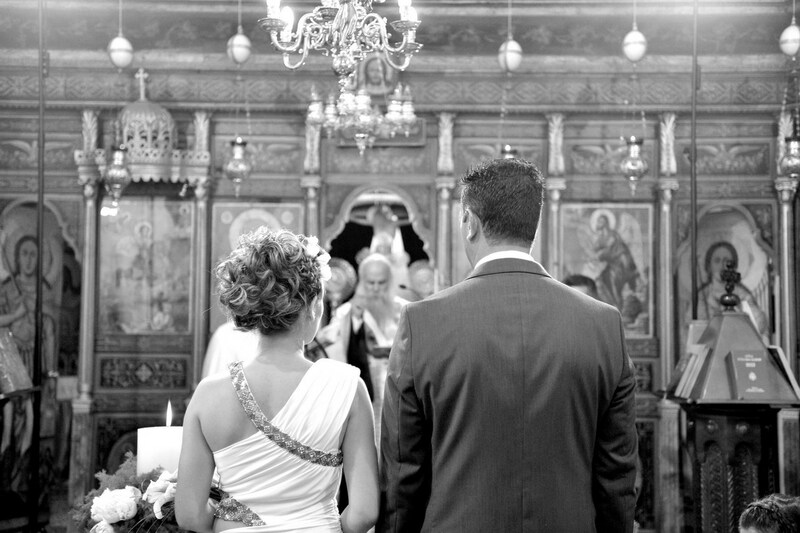 After Marianna's preparation at home, she arrived stunning at Saint Dimitrios' church dressed in an ancient Greek dress and flowers on her hair. 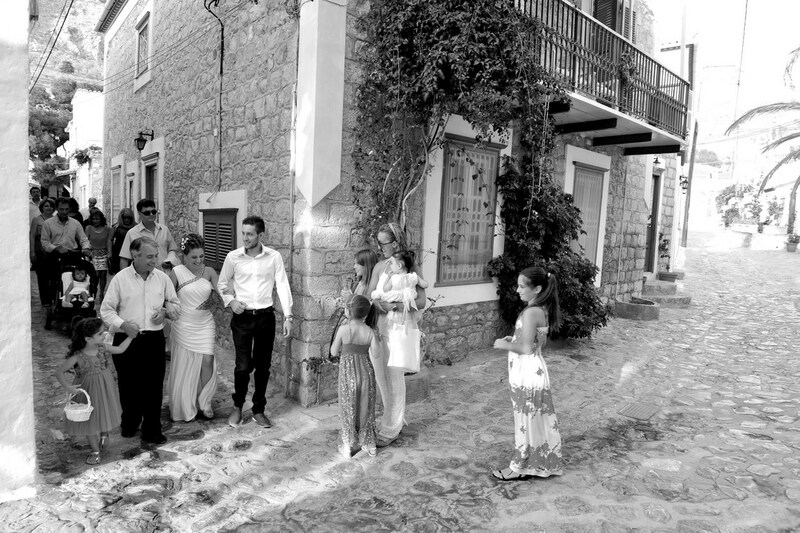 Giorgos was waiting for her and the ceremonies started. Afterwards, dinner followed at taverna Gefyria where the party kept till daybreak. Next day photo shoot took place at Vlychos, where Marianna posed with Giorgos naturally without any effort of me and the result was some really amazing pictures. Hope you enjoy their photos as much as I enjoyed shooting this lovely couple!